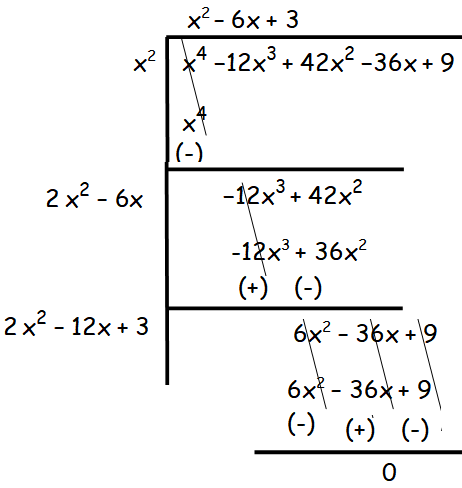 The long division method in finding the square root of a polynomial is useful when the degree of the polynomial is higher. Here we are going to see how to find square root of a polynomial of degree 4.
x4 has been decomposed into two equal parts x2 and x2. Multiplying the quotient (x2) by 2, so we get 2x2. Now bring down the next two terms -12x3 and 42x2. 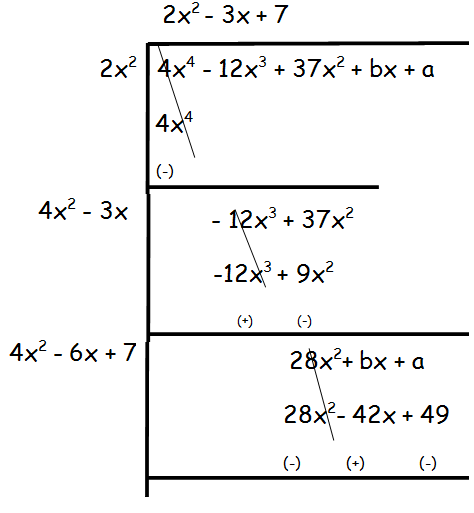 By dividing -12x3 by 2x2, we get -6x. By continuting in this way, we get the following steps. 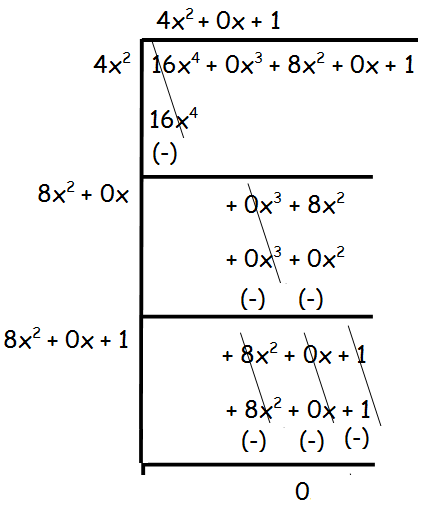 First let us arrange the given polynomial from greatest order to least order. Hence the square root of 37x2 −28x3 + 4x4 + 42x + 9 is 2x2 - 7x - 3. Hence the square root of 37x2 −28x3 + 4x4 + 42x + 9 is 4x2 + 0x + 1. 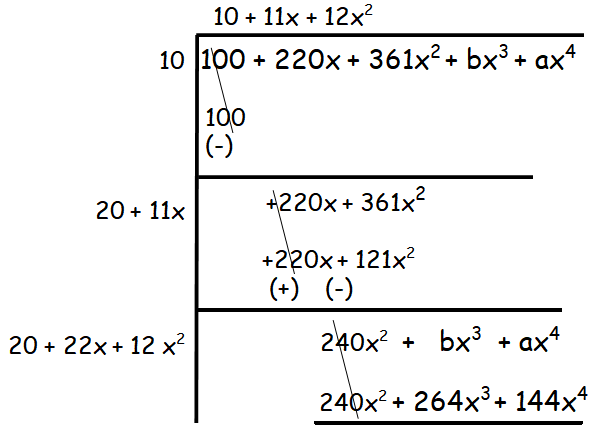 Hence the square root of 121x4 − 198x3 − 183x2 + 216x + 144 is 11x2 + 9x + 12. 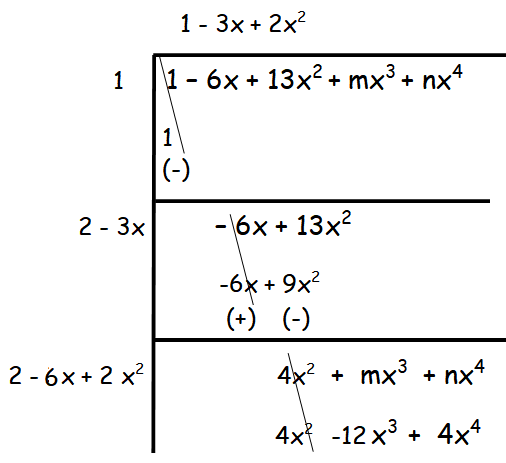 Hence the square root of the polynomial (x2/y2) - 10x/y + 27 - (10y/x) + (y2/x2) is (x/y) - 5 + (y/x). 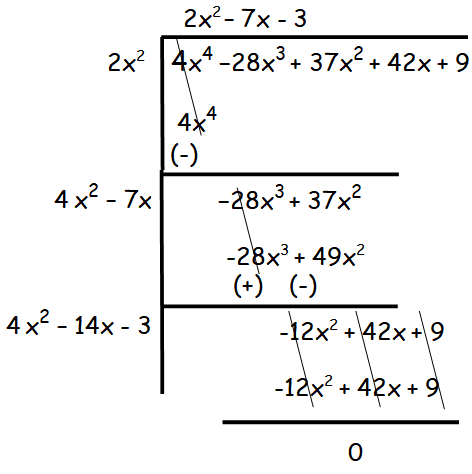 Let us look into the next example on "Finding the Square Root of a Polynomial by Long Division Method". Hence the values of a and b are -49 and 42 respectively. Hence the values of a and b are 144 and 264 respectively. 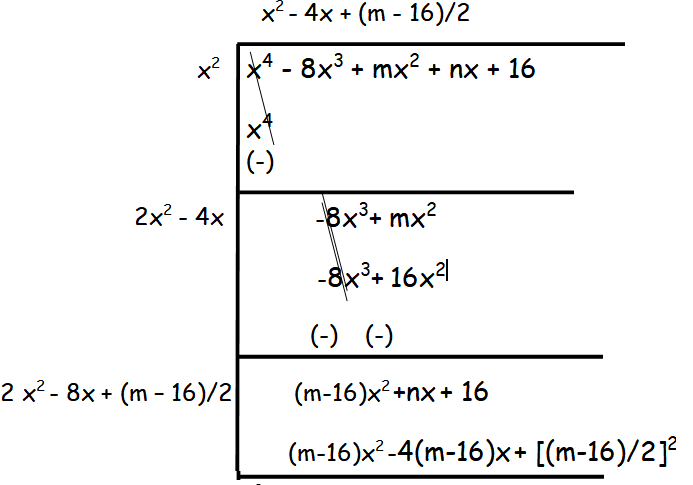 Hence the values of m and n are 6 and 4 respectively. Hence the values of m and n are 24 and -32. 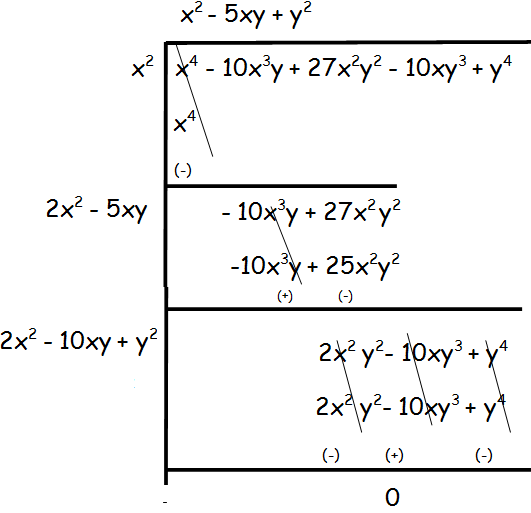 After having gone through the stuff given above, we hope that the students would have understood, "Finding the Square Root of a Polynomial by Long Division Method". Apart from the stuff given in this section "Finding the Square Root of a Polynomial by Long Division Method", if you need any other stuff in math, please use our google custom search here.